As you’ve heard me say before in this blog, marketing is tough. Of all the elements that an indie-published writer has to take on—editing, typesetting, cover design, website design, blogging—marketing and promotion seem to be the two least suited to the personality of people who happily spend years of their lives chronicling the lives of fictional people while real people clamor for their attention. Nor does the marketing problem affect only indie-published writers. Small presses have small budgets, little of which goes to promotion. Even big presses prefer to spend their dollars where they can expect the greatest returns: the few stars get book tours and television spots; the mid-list and niche authors don’t. So marketing is tough. It takes grit and perseverance and creativity, a thick skin and an agile mind, a willingness to tackle new approaches and endure a certain amount of discomfort. Most of all, it takes patience, which assumes trust in the value of one’s work and confidence that sooner or later a book’s readers will find it. But that is precisely where many authors stumble. In their fear that they won’t make sales right away, desperate authors alienate the very people they most need to impress: their readers. I see it on Goodreads all the time. No matter how often group moderators and site operators post the rules of engagement, certain writers leap into a new group and begin posting some version of “buy my book!” in a dozen different threads, as if the other group members were sales on the hoof. What usually happens is that the moderators label them spammers and exile them. By pushing sales first and foremost, these writers end up making none. Let me hasten to add that not all Goodreads writers pester other group members, by any means. But enough of them do that in one group I joined, another member went out of her way to comment on how nice it was to interact with a writer who had not tried to flog her book to the group. Which, when you think about it, is a sad situation—not just for the readers constantly dodging hungry authors, but for the authors who deny themselves the pleasure of conversation in the belief that sales are the only measure of their success. Still, the situation on Goodreads is mild compared to what happens in other online venues—not least because the site operators and the group moderators act as enforcers and delete authors who refuse to get the point. Meanwhile, the manipulation of social networks and online review systems proceeds apace. At the heart of the whole mess is the belief, true or false, that search algorithms determine a book’s visibility and therefore the author’s sales. The undermining of the Amazon.com review system is not new. Stories have surfaced for some time about people gaming the system. At the thin end of the wedge, these schemes involve “sock puppets,” close relatives and friends whom the writer asks to submit a glowing review. So long as the person genuinely enjoyed the book, I don’t have a big problem with sock puppets. Non-writers often see automated requests for reviews as an annoyance, so pointing out that they can improve a book’s sales seems like a violation only if you threaten to block Aunt Mary from Thanksgiving dinner if she gives you less than five stars. After all, asking people to review a book honestly, including sending them a free copy for that purpose, is standard practice in publishing. But the attacks on the review system go far beyond sock puppets. A few months ago, it came out that people had been buying or otherwise faking five-star reviews (by themselves submitting or encouraging others to submit multiple positive reviews under pseudonyms, say). On Monday, David Streitfeld reported in the New York Times (“Swarming a Book Online”) that a group of fans had used social media to organize a campaign against a book they disliked. The fans overwhelmed the author’s page on Amazon.com with one-star reviews. These fans were readers, but previous incidents have involved writers trashing other authors’ books while praising their own. So far as I know, no author has yet organized an online campaign to take down a competitor, but it’s not hard to imagine that day arriving. I hope it never does. Because manipulating the system diminishes the importance of all reviews, both good and bad. Most readers have more options than time. If authors, in a desperate desire to ramp up their own sales at any cost, teach readers that reviews are unreliable, no one benefits. Honest writers lose, because their five-star reviews look fake. Unfairly targeted writers lose, because their books die unread. But the desperate writers lose, too, just as they lose when they spam readers’ groups on Goodreads. A reader who buys a book because of a lie will not buy another book from that author, ever. So faking reviews is not even good marketing strategy. Marketing is tough. Building a readership takes time. No need to make the process tougher for everyone by spamming or lying. Image purchased from Clipart.com, no. 19859517. I write historical fiction, to a large degree, to fill in the blanks, by which I mean to portray the many aspects of life in my particular time and place—sixteenth-century Russia—that we can only imagine based on our own experience, because sources that would contain that information are not (and often have never been) available. Those impenetrable elements of life happen to be the very things that interest people most, the things that make us human. How did it feel to be a teenage girl married off to a stranger to fulfill the political agenda of your parents? How does a woman cope with seeing half of her children—or all her children—die before the age of five? Suppose your gifts lie in painting icons, but your class and your gender require you to spend your life attacking your fellow man with sword and pike, lest he attack and kill you first? What did the past look like, sound like, smell like? Answering these questions demands that a novelist supply historically accurate, or at least historically plausible, details that turn the dry recitation of facts into a story. Then, by creating recognizably human characters and sending them on a journey—even a journey that no one living today expects to undertake—the novelist gives that story meaning and life. Skilled fingers pluck the strings of history and make them sing. The process is not perfect. By applying imagination, we inevitably distort the historical record—how much depends on the writer. At the same time, by exploring the emotions that drive any series of events and by looking at those events from different (but specific) perspectives, a good historical novelist can let the past unfold before the reader’s eyes, make it more accessible than a purely factual account. Although fancy does not supplant fact, well-conceived, well-written fancy can reveal a truth that simple facts obscure. But what happens when history, in effect, subsumes fiction and twists storytelling to serve its own ends? One example of such an overlap between fact and fiction can be seen in the Moscow show trials of 1936–38. In 1936, Joseph Stalin decided to eliminate any communist leader with sufficient prestige to threaten his monopoly on power. In what became known as the Great Terror, he instigated a series of show trials, with scripts written by his political police and entirely false charges, designed to cover up the mistakes of his forced industrialization and collectivization drives by blaming his rivals—especially his arch-rival, Leon Trotsky, by then in exile from the USSR. The first trial succeeded in terms of Stalin’s larger goal: the political police forced the defendants to cooperate, confessing their “crimes” in open court. Convicted of plotting against Stalin, the leaders were promptly shot. The purges rippled out from the center, sweeping up hundreds of thousands of mid-level bureaucrats and intellectuals throughout the Soviet Union. But the international community remained skeptical of trials that relied solely on confessions. So for the next show trial, held in 1937, Stalin’s police selected five witnesses to corroborate the faked charges against a new group of defendants. This month on New Books in Historical Fiction I talk with Julius (Jay) Wachtel, whose novel Stalin’s Witnesses (Knox Robinson Publishing, 2012) explores the identity, careers, and psychology of these five men—and especially of Vladimir Romm, a journalist, diplomat, and Soviet spy who served in Washington, DC, immediately before his recall and arrest in August 1936. Jay asks probing questions about the system that produced the show trials; the many small compromises that ordinary people, including his five witnesses, made with their consciences; and the means by which those compromises turned history into a fantastical theatrical performance. Listen to it. Read the book. If you do, the next time someone tells you that truth is stranger than fiction, you won’t hesitate to admit that they’re right. 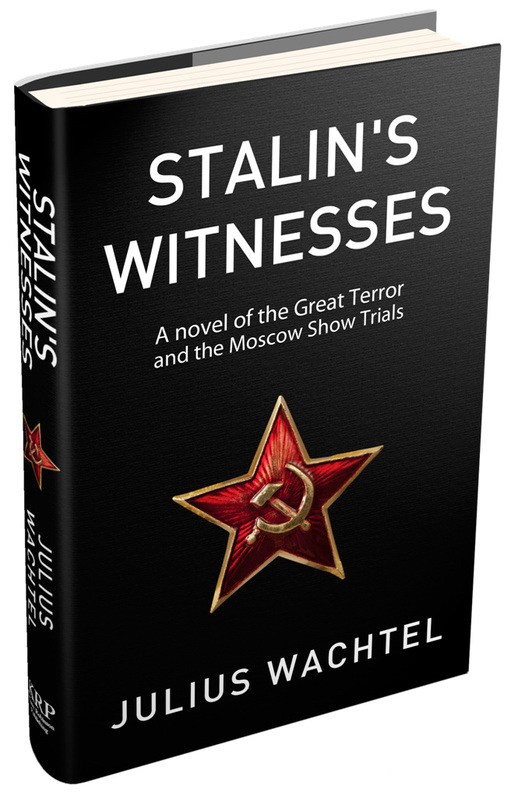 The description of Jay Wachtel's book draws in part on my blog post introducing Stalin's Witnesses, published by New Books in Historical Fiction. As promised in my previous post, “Ghosts of Christmas Past,” this week I’m looking forward, not back. Now, there are two ways to handle these predictive posts (probably more, but humor me). One is to survey the entire publishing industry and make predictions about what’s likely to happen before December 31, 2013. For that kind of post, see Kristen Lamb’s blog. There are others out there, including a long and interesting post by Mark Coker, founder of Smashwords. But Kristen, I think, has called it pretty much right—or at least, pretty much as I see it. This is not that kind of post. Here I review where I expect to be a year from now, both personally as a writer and in terms of projects I’m involved with. Although some of my personal goals may not have huge relevance for others, they are in their own way evidence of the evolving picture of publishing in 2013. Other goals have interest beyond my personal concerns, so for their sake, do read on. 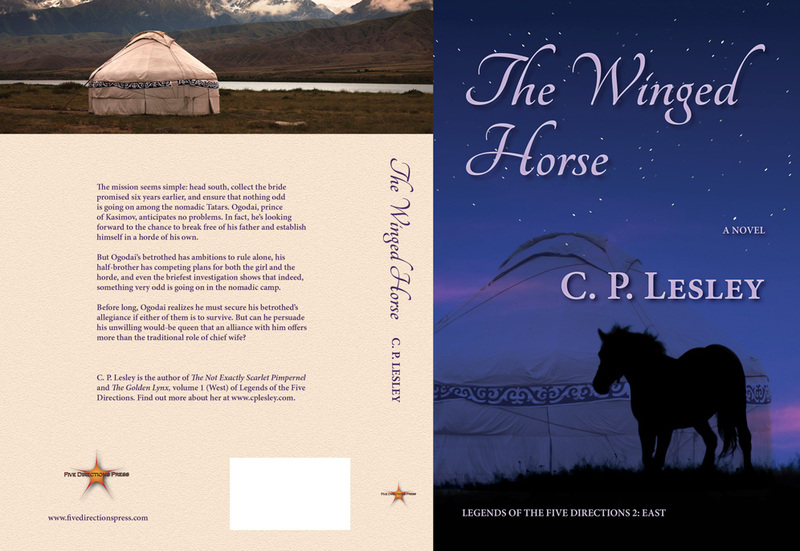 First off, I hope that by the end of 2013, I will have finished and published book 2 (East) of my Legends of the Five Directions series, The Winged Horse. I already have one-third of an initial draft plus a demo cover and a full outline, although I’ve already deviated so far from the outline that it acts more as a set of suggestions than an actual plan. If life treats me well (i.e., gives me enough free time), I will even start work on book 3 (North), The Swan Princess. I already have basic ideas for that one, although I haven’t begun to sketch it out yet. The plan is to bring it out in 2014. I expect to issue Winged Horse through Five Directions Press, the small publisher that I started with my critique group partners. I also expect Five Directions Press itself to grow this year. 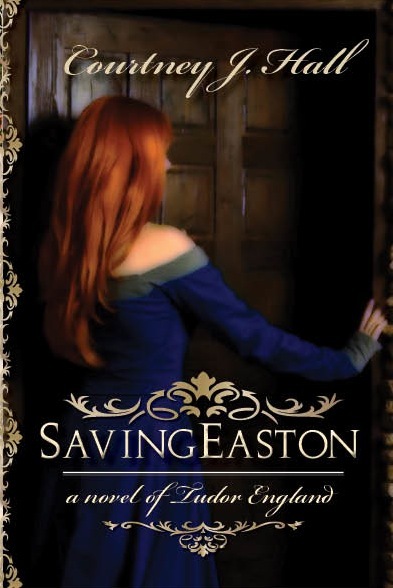 We should have two new titles out in the first quarter of 2013: Seeking Sophia, by Ariadne Apostolou; and Saving Easton, by Courtney J. Hall. 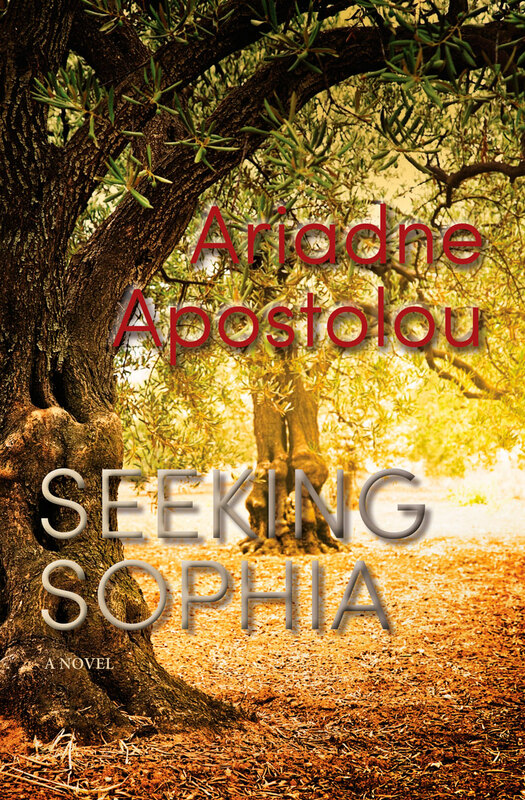 Ariadne has a series of novellas near completion in addition to Seeking Sophia, so she should have two books out by the end of 2013. Courtney has become a writing dynamo, so I would not be surprised if she finished another book. But even without a second from Courtney, that would mean four new titles, if all goes well, and two new authors—for a total of seven books and four authors by the end of the year. Not exactly Big Six (or is it Four?) territory, but not totally shabby either. You can find out more at http://www.fivedirectionspress.com/books. That brings me to promotion, a job at which I admit to being, well, challenged. I can probably attend the Slavic studies conference this year, which will help with the Legends of the Five Directions books. I may run a Goodreads giveaway for The Golden Lynx; I’m waiting to see if the last one, for The Not Exactly Scarlet Pimpernel, had any effect on sales (for more on that, see “Potlatch and Publishing”). I'm giving a talk at the local Rotary club in March; the rest is just a question of keeping up with Goodreads, trading author interviews where possible, letting people know about the books, etc., etc. I definitely plan to continue, and probably expand, my interviews for New Books in Historical Fiction. I love the conversations; the books are great; and I may even master the blasted software by the time December rolls around. So far, six authors have agreed to talk. More or less in order, they are Jay Wachtel, B.A. Shapiro, Bill McCormick, Tasha Alexander, Laurie R. King, and Marie Macpherson. There are others I’d love to interview, but I have yet to contact them, since I don’t want to keep them waiting forever. By April I should have a new list. And somehow, I’ll find topics for 51 more weekly blog posts. What will I say? The task seems quite daunting—until I remember that this is already post no. 34….